Home » Article » Bravo Team » Days Gone » Detroit: Become Human » God Of War » Horizon: Zero Dawn » Moss » Shadow of the Colossus » Spider-Man » Star Child » The Impatient » Uncharted: The Lost Legacy » The Sony E3 2017 Round-Up - Gods, Zombies and....Cobwebs? It's that time again, where gamers from around the world get excited as yet another E3 swings by and with it, a great deal of fresh, new games to look forward to. 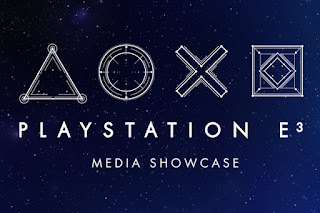 Time and time again, Sony pull off an amazing event and this year wasn't any different! To kick things off, I'm going to jump straight in with the latest trailer for Sony's Playstation exclusive title, Days Gone. Days Gone - Zombies have been a long-time interest for people of varying ages. They've made it into practically all forms of entertainment such as Comics (Marvel Zombies), Games (Dead Rising, Nazi Zombies, Resident Evil, The Last of Us), Novels, TV Shows (The Walking Dead) and even Audio Books. As such, it should come as no surprise that companies continually cash in on the theme and aren't likely to stop for many years to come. Days Gone is a title I've been looking forward to since it was first announced last year. It looks gorgeous. Any Rocker, Metalhead or Biker can relate to the main character. It's open-world in design and makes great use of Sony's incredible storytelling abilities. You can freely ride a Motorbike (so, chances are high we'll see multiple vehicles) and the Zombie hordes are huge, exciting and dangerously intimidating. Uncharted: Lost Legacy - That's right, just when you thought Sony was done with Uncharted, we're getting yet another entry in the series. I loved the first two and am yet to get around to playing Uncharted 3 and 4, but after hearing so many positive comments for Uncharted 4, did we really need another title? It could be good, but one thing's for sure - It won't be the same without Nathan Drake. Horizon Zero Dawn: The Frozen Wilds - When you review titles for a living, your own games often get pushed aside. Horizon Zero Dawn is one of those titles for me. I'm around halfway through and absolutely loving it. The Killzone creators did a fantastic job in bringing Aloy and the world around her to life, so an expansion to the story of an already excellent title is only a plus in my books and is something I feel will be unmissable for fans of this great game. Release Date: Sometime later this year. Shadow of the Colossus - Okay, so this was a surprise to me. I absolutely loved Shadow of the Colossus and actually won my original copy from the Playstation UK forums about a decade ago now. Strangely enough, I wasn't a fan of Ico and yet I found myself both amazed and immersed within the strange, barren lands of this Colossi filled world, treating each target as a new experience as I approached curiously with a good degree of caution. Needless to say, it was an amazing game. The story was simple, yet effective and although we didn't need a re-release of a game two console generations behind us, this isn't a HD Remaster. This is a full on remake being built from the ground up with the most up to date technology the industry has to offer. If you've not played the original, this is a good opportunity to step in and if you have, well, perhaps there's something left for you yet. Detroit: Become Human - This is the latest title by Quantic Dream - The guys behind Fahrenheit, Heavy Rain and Beyond: Two Souls. In a war inevitably breaking out between Androids and the Human race, you play on the side of the Androids, waking up more of your kind from their automated routines as you progress through the game. Like anything released by David Cage's studio, this is a game with a plethora of scenarios to play through, each with a number of multiple story choices to choose between. Expect multiple endings and the ability to go full on "Killbot" as you lead your Robotic army on a path of conquest or eventual peace with their organic creators (us). Call of Duty: WWII - Fans will be excited to see another Call of Duty hitting stores near them soon. The quality is there, but will this be the same Call of Duty many people have grown bored of or will this become something far greater? When we know, we'll let you know, but in the meantime, check out the footage below. It might just be the next must-have shooter for FPS fans. Marvel's Spider-Man - Though QTE heavy. this looks to be an incredibly accurate representation of our favourite, friendly neighbourhood Spider-man. With huge set pieces, fluid movement and a pretty good combat system in place, it looks as though we'll really get to feel what it'd be like to be Spider-man. If this had VR support, though, I'm sure gamers would be simultaneously throwing up across the globe. The buildings you can scale and leap from sure are high! For me, though, the real question is whether or not this will be good enough to surpass my memories of Ultimate Spidey. That game was incredibly fun to play and visually stunning. Monster Hunter: World - As a long time fan of the Monster Hunter series, seeing this brand new Monster Hunter title in HD with modern visuals was definitely a highlight for me at this years E3. I was hoping for Devil May Cry 5 to be announced most, but considering the length of all Monster Hunter titles, this will likely keep me busy until Dante returns and with a more believable, organic environment and natural movement from both the protagonist featured and the monsters themselves, fans new and old certainly have something to look forward to here. It still supports up to four players in co-operative play and as both a Hammer and Charge Blade user myself, it'll be amazing to see what Capcom have done with the weapons and moveset. God of War - Saving the best for last, Kratos is back, only this time he looks done with life, looks to be at least 10-15 years older in appearance (Demi-Gods age, too) and now has his son to care for. Though the combat has changed from previous titles, it still retains its essence at its core and looks to be just as brutal as ever. I also see the story heading in two directions. 1. Kratos will teach his son all that he knows when suddenly at a pivotal point in the story, Kratos dies (and doesn't climb back out of Hell for once), allowing his son to take over as the new protagonist of the series or 2. In teaching his son all that he knows, his son, now over-confidant endangers himself and falls in battle, bringing back his father Kratos' once hidden rage, who then, unsatisfied with killing every God and Titan he crossed paths with previously, decides to take it upon himself to murder every mythical creature and Norse God he can lay his bloody hands (and new Axe) on. Needless to say, I think we're in for a treat and this could turn out to be one of the most emotional entries in the series, yet! All of the above titles are true Playstation Exclusives, with the exception of Monster Hunter and Call of Duty. 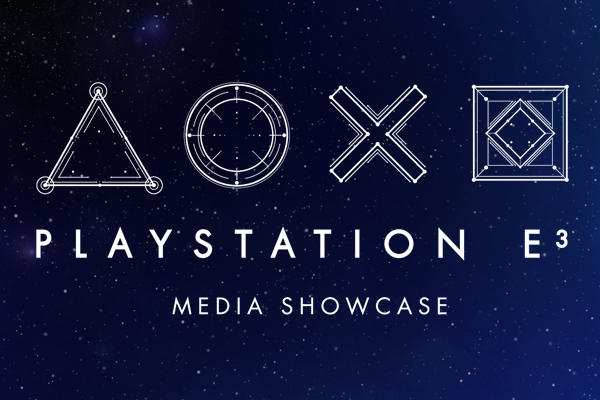 Lastly, Sony had a fairly long segment dedicated entirely to Playstation VR. Most of the titles announced are brand new, so I don't have too much to say in regards to them, but take a look for yourself below. They might just be convincing enough to warrant a purchase. Overall, I feel Sony has once again won E3. If the sheer amount of titles weren't enough for you, the quality you can expect and the studios behind them should be enough to put you in agreement with me. As a Playstation fan myself, I can appreciate how much we have to look forward to over the coming year or so, but I think it's safe to say that across the whole of E3 there was at least something for everyone. We didn't get any new information on Final Fantasy 7's remake and we didn't get a new Devil May Cry, but we did get a whole load of other fantastic announcements and it sure is a great time to be gaming right now!